A fright wig and face paint might not be things you’d expect to pack for a holiday but even on the high seas, cruise lines love to get spooky! If you’re cruising towards the tail end of October, there’s a massive chance you’ll find cobwebs next to your cocktails and pumpkins amongst the parasols. Whether you bring a costume or not, you’ll find plenty of treats lurking ‘round the corner as the spooky nights draw in. Here we’ll list the scarily exciting events that major cruise lines have planned for Halloween this year. Carnival Cruise Line always put fun above everything else and their Frightfully Fun Halloween celebration is testament to that. Turning their liners into veritable ghost ships, Carnival festoon your surroundings with a variety of devilish delights. You’ll find family trick or treats along their promenades, a costume contest that always brings out the ghouls and ghosts of the night, dance parties, pumpkin carving and a horror movie night on the top deck that promises to scare the sunscreen off anyone brave enough to attend. If you hear things going bump in the night onboard a Celebrity Cruises trip, don’t be alarmed, it’s just their Halloween—themed silent disco. Guests listen to the best Halloween music through their own pair of headphones, while spooky décor and themed drinks keep the ghoulish spirit alive and well. Elsewhere, a costume contest awards the most frightening fashions, while the ships’ theatres will play host to a selection of scary, family-friendly classics including Beetlejuice, Ghostbusters, Hocus Pocus and Casper. That’s not all for kids: a costume parade lets them strut their spooky stuff, while guest services and staff-manned stations offer sweets out on their trick-or-treat travels. Norwegian Cruise Line tempt the taste buds with a selection of Halloween-themed food and drink. Here, you’ll find specialty cocktails and sweet treats to feast on, including pecan and caramel ‘spiders’, pumpkin bars, and a well-stocked bar filled with bloodcurdling beverages. When it comes to ghoulish garb, the guests onboard Norwegian always dress to impress, with some of the most daring and creative costumes to hit the seas frequently on show. Their events differ by ship, but expect dance parties, movie screenings, trivia quizzes and trick-or-treating during your ghoulish stay. As you’d expect, Disney don’t do Halloween by half. From September through to October, Disney turn their ships into floating haunted mansions complete with elaborate decorations, live music and a pumpkin-spawning tree that has to be witnessed in the flesh. With plenty of themed parties to choose from, even people who don’t usually participate in Halloween find it hard to resist, and with live music and themed treats it’s the perfect place to let your hair down and gorge on something special. For kids, storytelling, scary films and trick-or-treating add some fun to the frights, there’s something for everyone during this super-festive time of the year. Come October, Princess turns regal into frightful, with spooky décor and a host of Halloween treats for adults to sink their teeth into. Hundreds of costumed cruisers will attend ‘Fright Night’, a ghoulish evening that lets guests throw some shapes in their scariest get-ups. Last year was highlighted by a ‘Thriller’ flash-mob and we’re sure this year’s event will have something equally spooky up its sleeve. For kids, there’s a scavenger hunt, costume parade, plenty of treats for those with a sweet tooth and kid-friendly films to make their cruise extra creepy! Thrills and chills abound on Royal Caribbean’s ships during Halloween. 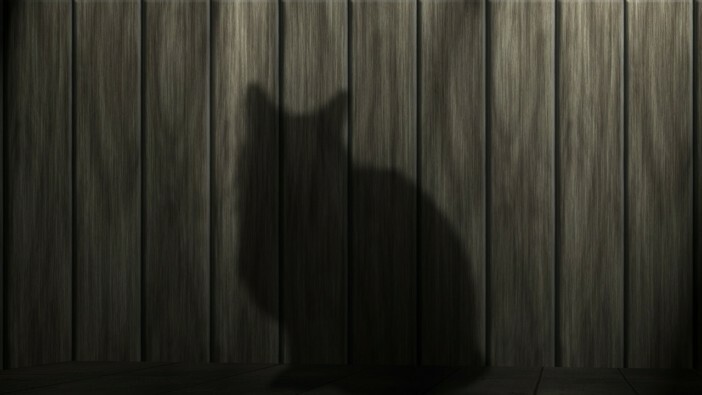 In the morning, zombies stalk the top decks, on the prowl for humans to attend RC’s evening costume parade. As day turns to night, prizes are awarded to the guests wearing the scariest, funniest and most creative costumes, while aerialists and gymnasts wow the crowds from above. Guests will also find face painting and movie screenings, while for little ones and big kids alike, guests can trick or treat through the ship’s seven different neighbourhoods. 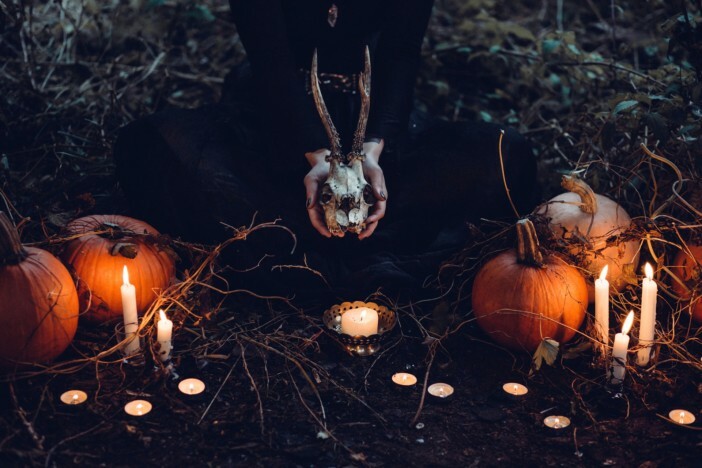 Holland America Line go a step further with their Halloween theme, offering All Hallows-centric excursions for you to partake in. From the Ghost of Old Quebec, to the Mysteries of Palermo, they offer a chance for you to explore the spookiest corners of the globe, before retreating back to the ship for a selection of devilish celebrations. Replete with pumpkin carving, movie screenings and a costume masquerade, the kitchen’s bubbling cauldron offers plenty of delights for the taste buds too, including special cocktails and a variety of pumpkin-based dishes, whipped up by the master himself, Rudi Sodamin. Like the sound of these ghoulishly good times? 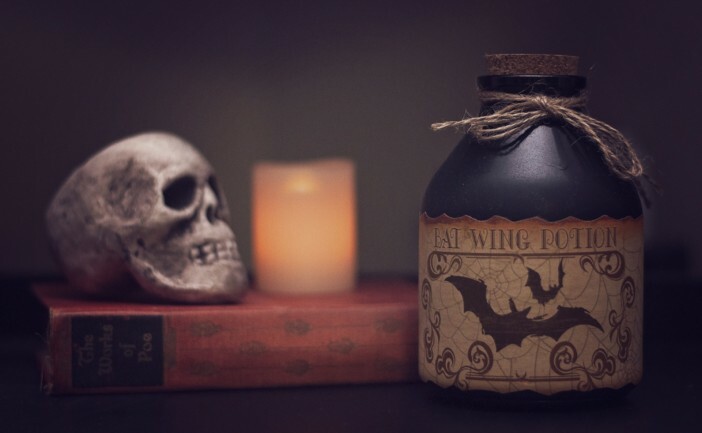 Why not treat yourself to a Halloween-themed cruise? See the full selection of itineraries online or call our friendly sales team on 0808 274 6777. 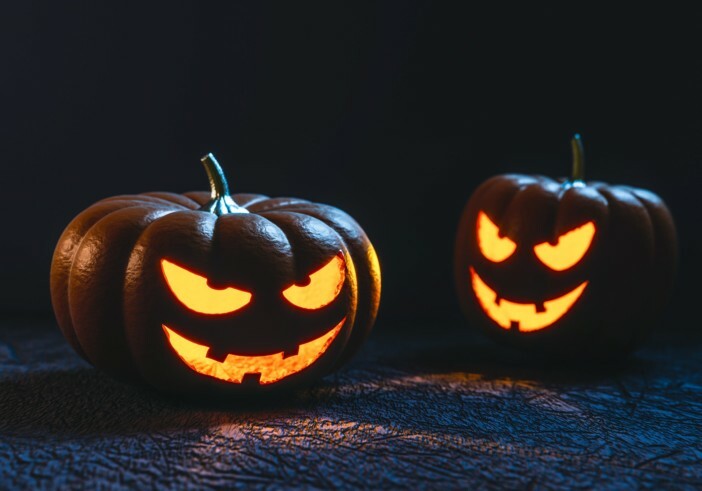 As the spookiest time of the year creeps ever closer, we take a look at the Halloween events and activities offered by our favourite cruise line.